Associate Customer Support Jobs in Sutherland | 8th April to 14th April 2017. As the last Date is fast approaching For Sutherland Recruitment 2017, candidates can start their preparation by checking out Sutherland Test patterns which will be very useful for the Applicants. This will be a good opportunity for those people who wants to get a job in IT Sector. Candidates can utilize this opportunity to set better career. Contenders are also suggested to check the Official Notification to avoid further Complications. Competition for these vacancies is going sky high so we insist the candidates work hard and Practice hard for the Recruitment in Mumbai. For other IT Jobs and Sutherland Placement Papers, candidates are welcomed to Go through our site All India Jobs for more Official Stuff. Salary INR 50,000 – 2,75,000 P.A. Ability to use the Computer system. Basic user level familiarity of Operating System (Windows). Exposure to Online shopping preferred. Knowledge of browsers (MS Internet Explorer, Mozilla FireFox). Ability to comprehend and actively participate in the conversation by acknowledging effectively. Willingness to work in Rotational shifts (Last shift ends at 1 am). Typing skills of 25 words per minute with an accuracy of 85%. Regular College students and Engineering pass outs cannot apply. Age Limit 18 to 35 years. We don’t hire candidates from the western line. Also, please find attached Document Check list for the on-boarding purpose. Aspirants can attend for the walkin drive for Sutherland Recruitment 2017 which is held in Mumbai, Thane on 8th April to 14th April 2017. Candidates can be suggested that to check the given below mentioned address and carry the required documents. So candidates can also check official website for further details. Here we provided the sufficient information for the candidates. 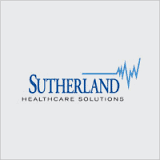 We hope that above provided information on Sutherland Recruitment is helpful for your job search. Keep visiting Freshers Jobs for regular Job Updates.